Looking to join a rock band? Shadowary is now recruiting members to complete the lineup. 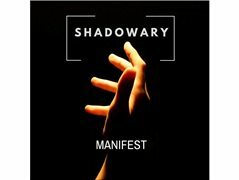 Formed by Benny Ng (vocalist), Shadowary aspires to be a professionally gigging/touring rock band by the end of 2019. Our music is melodic rock with sincere lyrics and interweaving sound designs. Main musical inspirations are Linkin Park, Trifonic, My Chemical Romance, Skrillex. A 4-track EP has been recorded/mixed/mastered and ready to be released in May 2019. Goals for this year are to record a music video (March 2019), release EP (May 2019), record a full-length album (Oct 2019) and gig actively throughout 2019. Contact Benny to arrange a meeting for your spot in the band! Proficient at guitar. Able to play lead/rhythm guitar. Responsible. Committed to music career. Team player. Proficient at keyboard. Responsible. Team player. Committed to music career. Proficient at bass guitar. Responsible. Team player. Committed to music career. Proficient at drums. Responsible. Team player. Committed to music career.